It's the dead of winter in the Hudson Valley, and hot soup is the order of the day. Specifically, hot noodle soup. While the canned Campbell's version is ubiquitous, the Asian nations are leagues ahead of America when it comes to perfecting broth-based noodle dishes. Ramen, pho, udon, dandan—these steaming hot soups are packed with flavor and nutrients to ward off the cold and keep you sated. The 10-cent ramen packets that got us all through college should hopefully be a thing of your past, so let's get on to the good stuff. Here are our 6 favorite places to slurp hot noodle soup in the Hudson Valley. Located in a nondescript strip mall on Route 9, Saigon Pho is not the most glamorous destination, but damn to they make a good bowl of pho. Sit in a pleasantly cheesy dining room, and pick from a range of pho—chicken, beef tendon, Saigon special—to name a few. They also offer hot dishes and a range of appetizers like dumplings, summer rolls, and, of course, bubble tea. If you don’t have time or interest in waiting around (service time could be improved), order ahead and pick up. Owner of Heritage Food & Drink Jesse Camac calls Quinn's ramen and steamed buns "some of the best in the area." For a classic hot soup option, choose between soy or miso, made with chicken, pork, or bonito base; or opt for the Spicy Miso Veggie. All ramen is served with wakame, bamboo shoots, nori, scallion, fishcake, and stewed egg but you have to pay extra for chaschu pork or chicken. Unlike many places, Quinns also offers a chilled spicy sesame veggie bowl that will keep you ramen-ready all summer long. After a trip to Vietnam, chef David Chicane fell in love with the flavors of Southeast Asia. After a spell at Pearl, an Asian-fusion restaurant and oyster bar in New Hampshire, Chicane opened a farm-to-table eatery with a "Southeast Asian Accent." The Hudson Food Studio has since moved to a larger space on Warren Street, where the menu offers two hot noodle soup options. 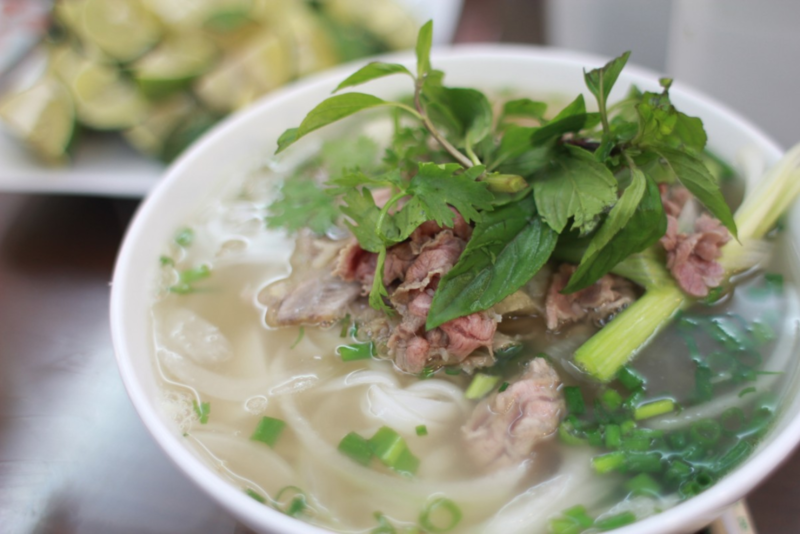 The chicken pho uses a bone broth made with North Wind Farm chicken and fresh rice noodles ($17). The ramen option (dubbed Big Bowl of Noodles) has pork broth base and comes topped with melt-in-your-mouth braised pork shoulder, noodles, shiitake mushrooms, pea shoots, nori, and egg ($18). In a rustic interior that befits an upstate inn, Kimchee Harvest Kitchen’s menu offers distinctively Asian-inspired cuisine, influenced by chef Toko Harada’s Japanese culinary roots and co-owner Arthur Warren's Korean heritage. Employing the Japanese concept of “sansai” or “seasonality,” the menu uses the freshest produce for maximum flavor. The ramen options include a meat or vegetable miso broth base with house-made noodles. Gluten-free folks can opt for rice noodle. These steaming bowls of goodness are served with kimchee (grown locallly and made inhouse), seasonal vegetables, pickles, and sprouts. 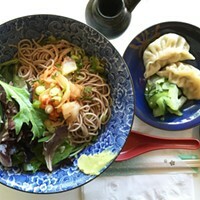 For 10 years, Gomen Kudasai set exacting standards for Japanese fare in the Hudson Valley, offering up handmade gyoza; silken, ethereal madofu tofu, and of course, authentic soba and udon served in a nourishing broth heaped high with fresh, local veggies. When they closed last year, there was a public outcry. But the good news is chef and owner Youko Yamamoto is working to reopen in Midtown Kingston later this year under the banner Gomen Ramen. Stay tuned for updates.